disappear. Everyone knows it’s trickster coyotes stealing their kids, but nobody knows what to do. Except newspaper woman Ginny. 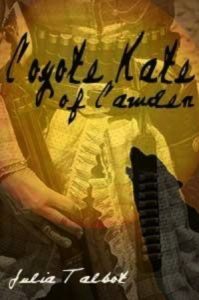 She convinces the town to call on Coyote Kate, a notorious coyote trapper, who can get their children back. But will the town, or Ginny, be willing to pay Kate’s price?